A simple and striking contemporary pair of sterling silver hoop earrings with handmade 14ct Yellow Gold Filled wire wrapped beads. 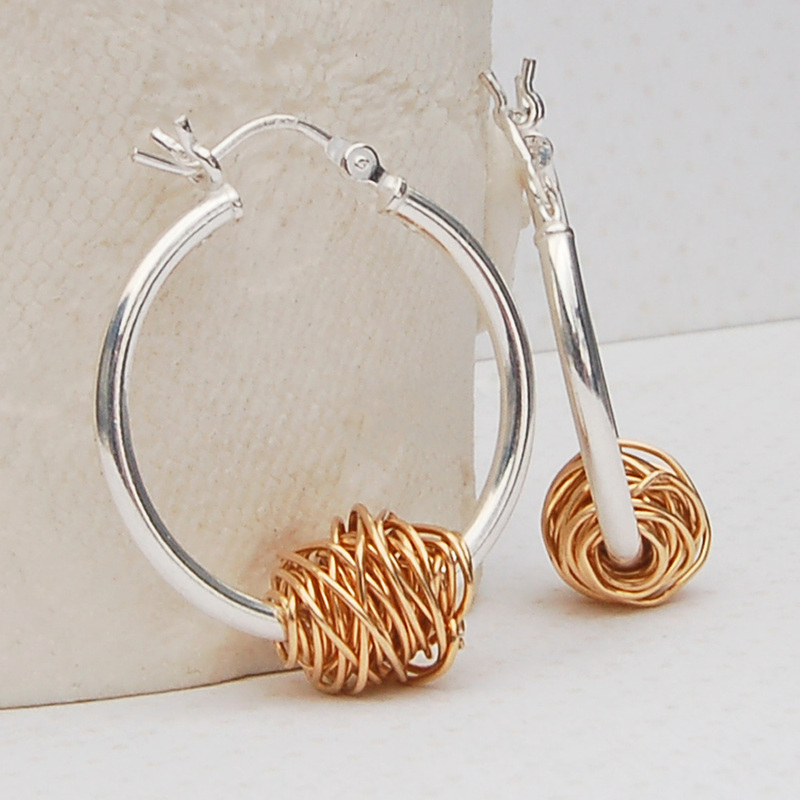 From our Entwined collection these stunning earrings are made from lengths of 14ct Yellow Gold Filled wire which is carefully hand weaved and woven into delicate, slightly oval shaped beads and threaded onto sterling silver hoop earrings allowing them lots of movement. 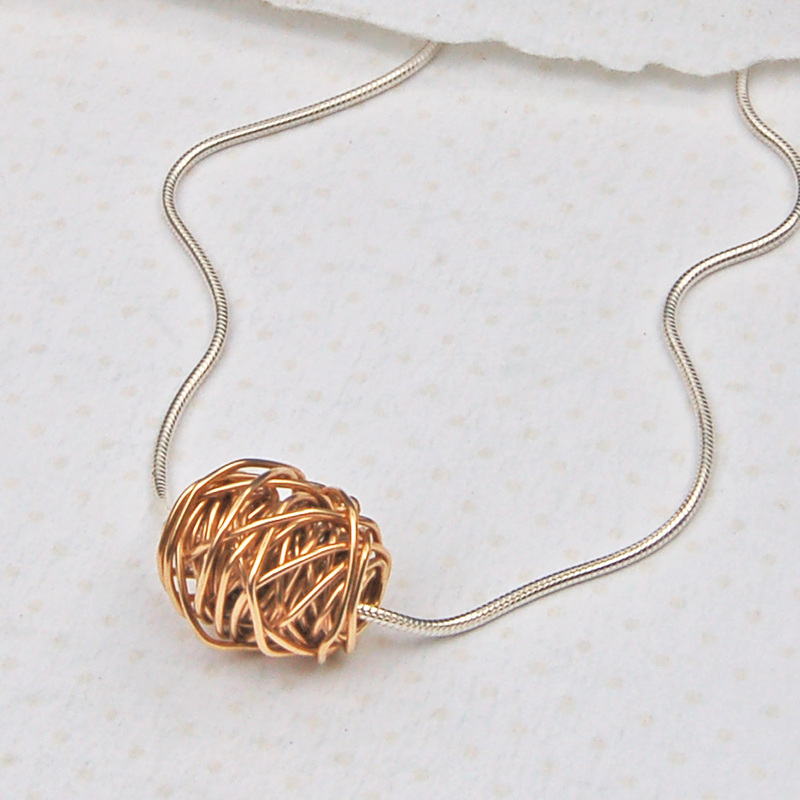 Each wire wrapped bead will be uniquely different, like our journey’s through life, with the wire taking different twists and turns which are all inseparably woven together. 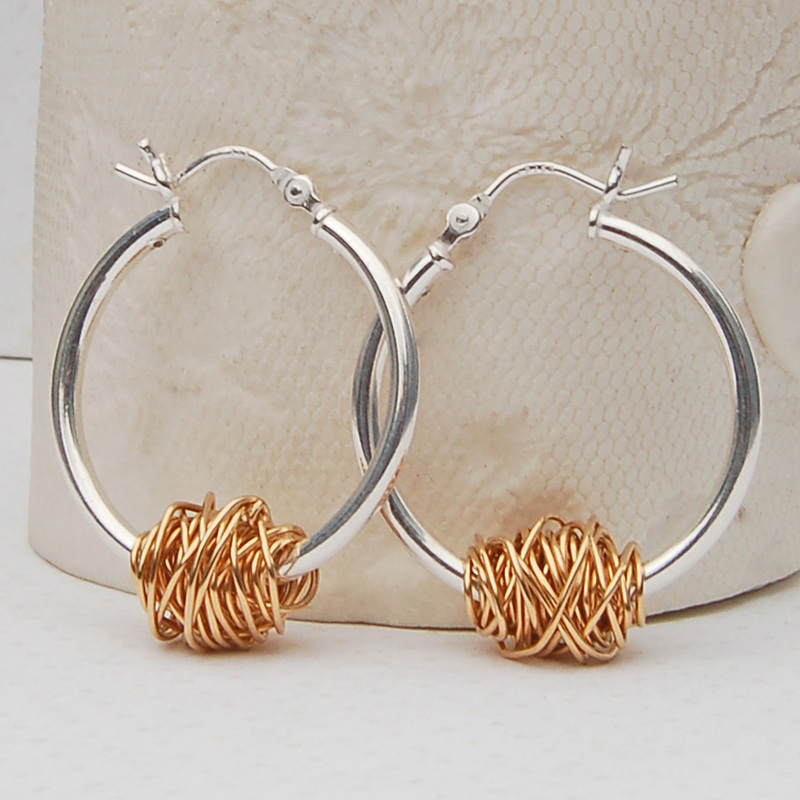 These contemporary earrings are simple enough for everyday wear but striking enough to be a little bit different and the style goes with everything. 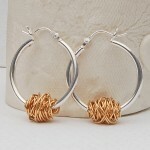 These Entwined earrings are also available with 14ct Rose Gold Fill Beads and Sterling Silver Beads. 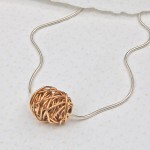 A co-ordinating Silver and Yellow Gold Entwined Necklace is also available. 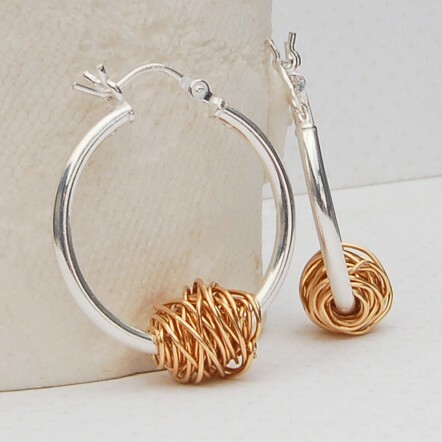 These earrings will be handmade in the UK by us for you and will be beautifully wrapped in tissue paper and packaged in an IndiviJewels gift bag. Here at IndiviJewels we design and make all our pieces of jewellery so if you would like something a little different then please contact us and we will see what we can do for you. 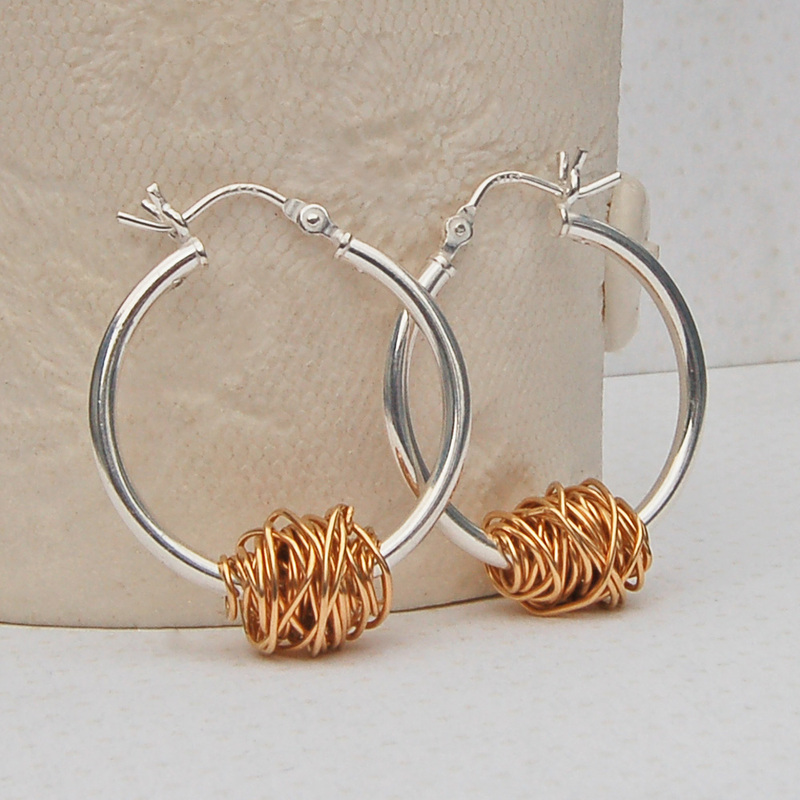 The ear hoops are sterling silver and the beads are 14ct Yellow Gold Filled wire. 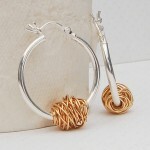 The wire wrapped beads measure approximately 0.8cm long by 0.8cm high by 0.8cm deep. 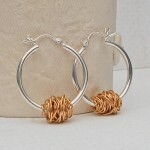 The ear hoops are 25mm in diameter.